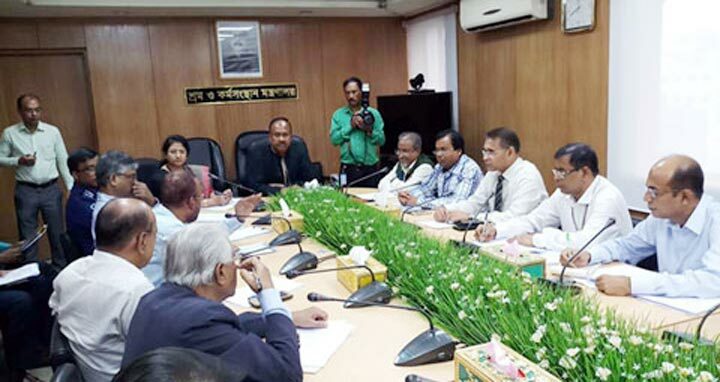 Dhaka, 9 August, Abnews: State minister for labour and employment Mujibul Haq Chunnu directed the owners of readymade garment industries to pay festival allowance of the workers by August 16. The minister disclosed this while addressing reporters after a meeting with the crisis management core committee at Bangladesh Secretariat on Thursday noon. He also asked owners of industries of all sectors to pay partial wage of the month of August by August 19 following factory capacity. Bangladesh Garment Manufacturers and Exporters Association (BGMEA), Bangladesh Knitwear Manufacturers and Exporters Association (BKMEA), Bangladesh Textile Mills Association (BTMA), Workers organization, police, detectives and others organizations chiefs attended the function.